A commonly held tenet of education design is that ambient color affects students' ability to learn. Evidence from research conducted over many years indicates that some colors enhance cognitive performance or creativity while others interfere with these processes. Those conclusions have now been challenged by a recent study that proposes the implications from prior research may have been overstated. 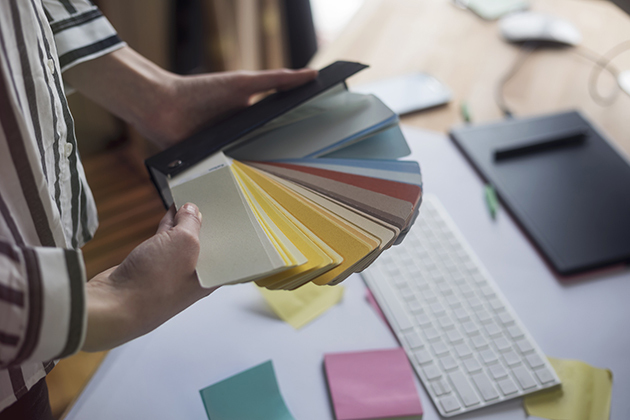 Few elements of interior design have received more attention from researchers than color. Dozens of studies have investigated the effects of color in offices, retail settings, restaurants, schools and healthcare facilities. Based on the findings from these studies, the design industry and media have produced a list of commonly used colors and their related impact on occupants' emotions and cognitive performance that has been widely disseminated as more or less factual. According to this list, for example, blue and green produce feelings of well-being, relaxation and calm, whereas red is an arousing color that may stimulate creativity, desire or appetite but can also signal danger and thus produce feelings of anxiety and unease. One of the shortcomings of these studies is that they tend to focus on limited exposure to only one or two aspects of a color, often involve a small number of subjects, and frequently use simulations rather than actual environments in order to control for other factors that could affect the results. Noting these limitations and that the results of several well-publicized studies have not been able to be duplicated by other researchers, a team of German researchers set out to design a study to test the belief that ambient color affects observers' emotions and cognitive performance in ways that can be anticipated when selecting color for an interior environment. For the purposes of the study, the researchers selected three commercially available paint colors (plus white as a neutral control color) advertised by the manufacturer as producing predictable emotional reactions: Cool Down Pink, Energy Red and Relaxing Blue. Each was used separately to color the interior of a three-sided booth set upon a desk, for a total of eight booths (two for each color). Lighting, hue and saturation were adjusted to be the same for each booth. The researchers then enlisted 170 high school students to use the booths to complete a battery of five different cognitive tests that took about a half-hour to complete. The subjects were asked to self-assess their emotional state before and after completing the tests. Based on the students' performance on the tests as well as their self-assessment of their emotional state, the researchers found no significant difference in cognitive performance or emotional impact as a result of exposure to the colors. The data show selection of color neither enhanced nor inhibited students' ability to complete a given task. In the one instance where an effect was mildly notable, the influence was largely the opposite of that claimed by the manufacturer. While the results of the study call into question the generally held tenet that ambient color affects emotion and cognitive performance and thus should be thoughtfully selected for use in learning environments, the researchers recognize that their findings are not definitive. Prolonged exposure to walls or other surfaces painted a certain color may have a different effect than exposure to a booth for a limited amount of time. In addition, some studies have shown that saturation levels, hue and lighting, as well as context (e.g., office space vs. restaurant), can influence how occupants respond to color in a particular environment. Nonetheless, the researchers conclude their findings suggest that "the use of color for the purposes of enhancing cognitive performance in an educational context appears to be questionable" and that interior designers "probably need not worry about lasting effects of ambient color on cognitive performance or emotional state." Not all designers and researchers are likely to agree.